Creams, syrups and icings look more appetizing and tempting when they have some special color. Now you will get to know what natural and artificial coloring matter you can use to dye various dishes or food. Use caster sugar, milk, cream and sour cream. 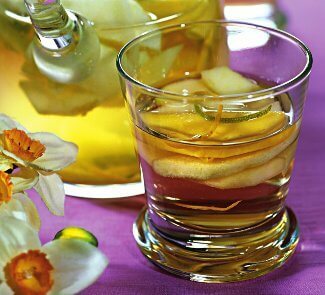 Dissolve saffron in vodka or spirit, add carrot juice and oil in the same proportions. Use orange juice or tangerine rind. Add raspberry, strawberry, ashberry, cornel, cowberry, currant or cherry juice, syrups, jams, and wine. You may take red/purple cabbage or beetroot, cut it finely, pour with water, bring to boil and strain off. You simply need to add chocolate or cacao powder. This color you can get from a coffee grouts (filtered through a cheesecloth) and hot punch. How to cook hot punch? Place 1 tbsp of caster sugar on a clean frying pan and heat sugar over medium heat until it gets a dark brown color and starts to smell. Do not forget to stir it constantly. Be careful! It is recommended to keep the sticky dark brown mass in a bottle. If you combine the prepared mass with ethyl alcohol and draw it, after dissolving with distilled water (proportion 1:1) – you will get a polish drink “hot punch”. 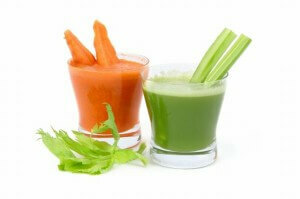 Combine saffron tincture and spinach juice (mince spinach and then add water). Combine yellow dye with a blue one. In order to get a blue color use such coloring matter as indicarmine. It is usually sold as a dark blue paste. Dissolve this paste in water and get a clear blue color of a tincture.